This morning when I woke up, I noticed that Lazerhawks was unanchoring their keepstars. For those unfamiliar with recent events, yes this is a big deal. Hard Knocks a wormhole group just like Lazerhawks came under siege by The Initiative and Goonswarm Federation. 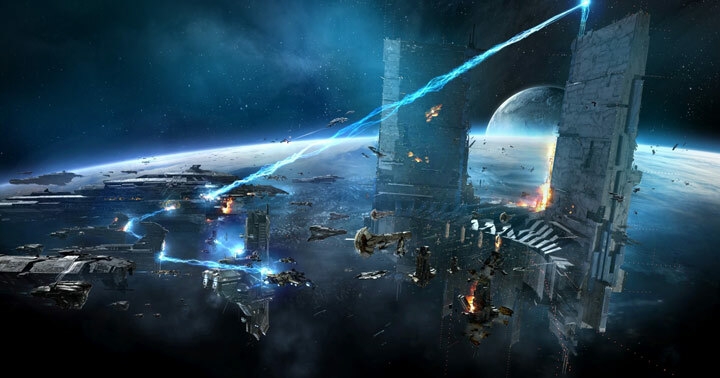 The objective of this siege was to kill the keepstar in Hard Knocks home wormhole known as Rage. Now things die all the time in EVE, and it is part of the vicious cycle of destruction we all “mostly” seem to enjoy. But what is remarkable about these events is how they unfolded, and what preceded them. Let me start with a few things that preceded them. The past few months a whole host of armed keepstars have been destroyed by the same entities. Goonswarm Federation and its associated alliances have been able to kill a whole host of keepstars with relative ease. Of course, it required planning and manpower. And Goonswarm and its associates should be celebrated for their hard work. But the relative ease does make one wonder. With ease, I, of course, mean a groups inability to defend them. The keepstar is supposed to be a space station of terrible destruction. A force multiplier if the battle takes place over it. But with all things EVE online, things do not always work out as intended. If one can have a mobile weapons platform and keep it out of range from the keepstar, you can attack the keepstar with impunity. Then if you vastly outnumber the defending side, they can never form a fleet big enough to defend it. And the keepstar will end up as a sweet killmail you can be proud of generating. An example of this would be the anchoring of the H-5 keepstar by Northern Coalition. However, is it really an accomplishment? As it stands now, one single group determines who is allowed to own a keepstar. No one else has the numerical support to defend a keepstar. Because of that, many groups will never consider owning a keepstar, or if they own a keepstar abandon it upon an assault. A clear example of this is the Hard Knocks keepstar, and the unanchoring keepstars owned by Lazerhawks. They rather unanchor those then fight for them in a future conflict. Goonswarm Federation and its associated alliances cannot be blamed for this. The game is considerably in favor of numerical forces. Recent balance passes made sure that fighting outnumbered slowly became a thing of the past. The addition of skill injectors made it that everyone can catch up to high SP doctrines in a short amount of time. Making superior SP also less of a deciding factor in how EVE wars are won and fought. As it now stands, one group decides who gets to play with keepstars. Not only because they are numerically superior. But also because of the keepstar own deficiencies. A keepstar should act as a force multiplier for numerically inferior forces. Of course, this will mean it also acts as a force multiplier for larger groups who already own one. But as it stands the keepstar is nothing more than a housing for supercapitals. That one group decides if someone else can use or not. It is up to CCP games to decide if this is desirable. But a large portion of the player base is denied access to a keepstar purely on the basis that they are severely underpowered. And can be attacked with impunity by staying out of its range. With for instance the long-range mobile platform like the notorious boosh raven doctrine. In the past, we said that citadels where to oppressive and we would not fight on its grid. But being able to snipe a structure out of its range is just bad game design in my opinion. If the option to abandon a structure is more enticing then to fight over it. Then something is wrong. It is not fun for the attacking side. It is not enjoyable for the defending side. Citadels and especially something as expensive as a keepstar needs to provide to the battlefield in a more meaningful way. All I can say further is CCP, look at the game, you should have noticed by now that this needs adjusting. Be proactive about balancing not reactive. I want to show my respect for your kind-heartedness giving support to individuals who require help on this matter. Your very own dedication to passing the solution up and down has been exceptionally effective and has really helped ladies just like me to attain their pursuits. Your helpful advice indicates much to me and far more to my mates. Thanks a lot; from everyone of us. oG3c0A Spot on with this write-up, I actually believe this web site needs a lot more attention. What i don’t understood is in fact how you are not actually much more neatly-preferred than you might be right now. You are very intelligent. You realize therefore significantly relating to this topic, made me in my opinion believe it from so many varied angles. Its like men and women aren’t involved except it?¦s something to do with Girl gaga! Your own stuffs outstanding. Always take care of it up! I’m still learning from you, while I’m trying to reach my goals. I absolutely love reading all that is posted on your blog.Keep the aarticles coming. I liked it! Fantastic web site. Lots of useful info here. I’m sending it to several friends ans also sharing in delicious. And certainly, thanks for your sweat! What’s Going down i am new to this, I stumbled upon this I have discovered It absolutely useful and it has helped me out loads. I’m hoping to contribute & aid different users like its aided me. Great job. This website certainly has all of the information and facts I needed concerning this subject and didn’t know who to ask. Admiring the persistence you put into your website and detailed information you offer. It’s nice to come across a blog every once in a while that isn’t the same unwanted rehashed material. Fantastic read! I’ve bookmarked your site and I’m including your RSS feeds to my Google account. I have been examinating out many of your posts and i can claim nice stuff. I will make sure to bookmark your blog. I am now not certain where you’re getting your information, but good topic. I needs to spend a while finding out much more or figuring out more. Thank you for wonderful information I used to be in search of this info for my mission. you’ve got an ideal weblog here! would you prefer to make some invite posts on my weblog? Good web site! I truly love how it is simple on my eyes and the data are well written. I am wondering how I might be notified whenever a new post has been made. I’ve subscribed to your RSS which must do the trick! Have a great day! Hello.This post was really motivating, particularly because I was looking for thoughts on this issue last Saturday. Somebody said that you needed to buy a domain name, or your blog sites weren’t seen by everybody, is that real? Do you know what a domain is? OTHERWISE do not respond to please. Its excellent as your other articles : D, thankyou for putting up. I am new to blog subscriptions and also I am searching for an easy visitor that is nice and organized that allows me see my blogs from my homepage or has a little scrollbox that is always up on the side of the computer system display. I began to make use of bloglines however it is truly messy with all the blog names aligned on the side. Many thanks a whole lot!. Leave a Reply to wall art Click here to cancel reply.